It’s almost November! 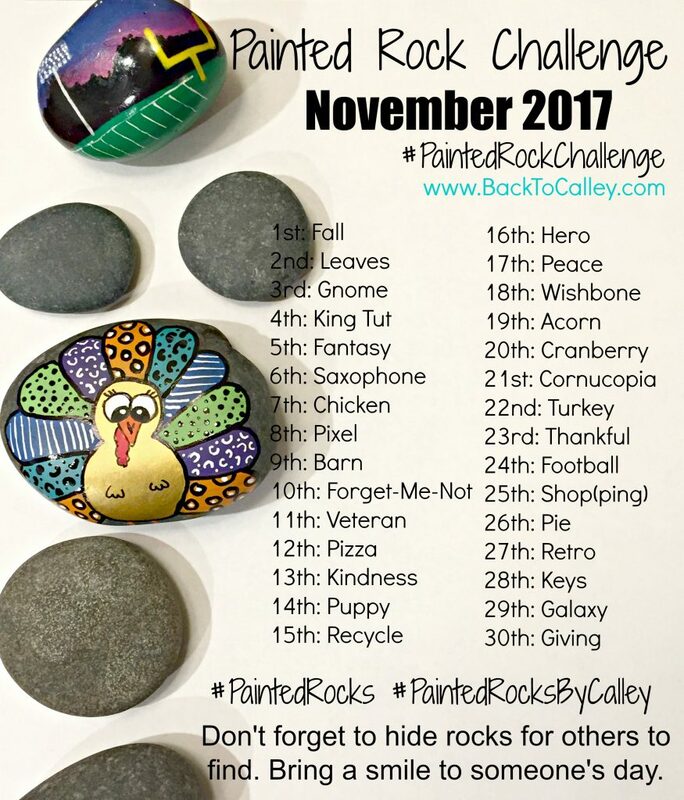 That means the holiday season is quickly approaching and I’m sure you have a lot of fun ideas for Thanksgiving and Christmas for your painted rocks. Over the next 1-2 weeks I’ll be getting a headstart of the December calendar and I’ll be posting some smaller holiday themed mini-challenges! These mini-challenges will be holiday specific and will have between 10-20 different ideas. 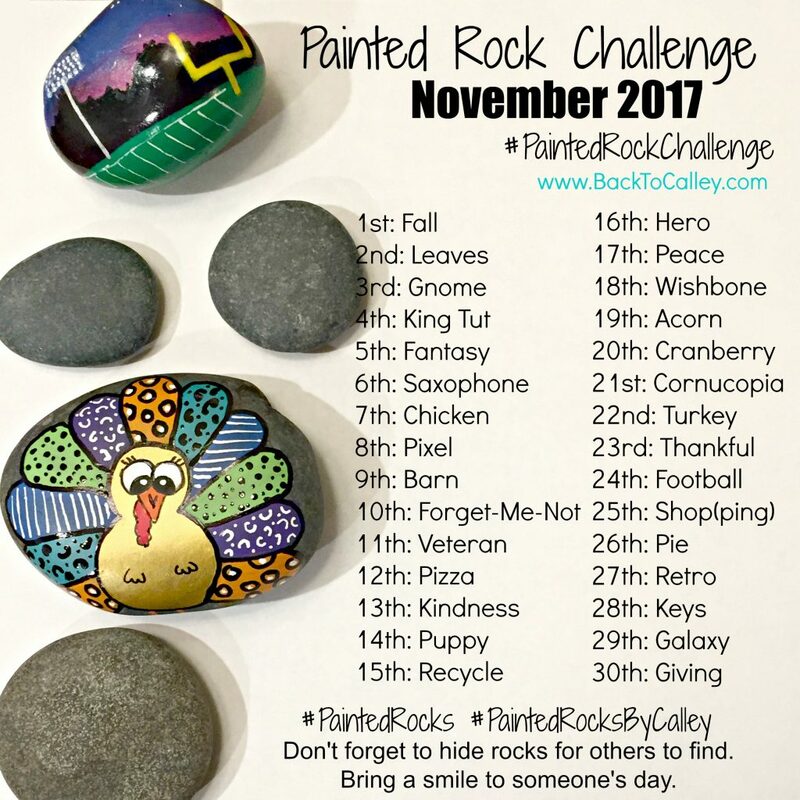 The November challenge isn’t overly heavy in Thanksgiving themes since I’ll be posting the mini-challenge by the end of the week. As always, these challenges can be completed in any order and at any speed. They are just for fun and to help give you ideas on what to paint. For many of you these challenges help you expand your confidence and try something out of your comfort zone. While I don’t always get the entire month painted myself, I love watching all of you and seeing how these themes are interpreted by others. I didn’t create a simple version (kid-friendlier version) this month but I will be including some kid friendly mini-challenges!! Rock on friends!! Have a great month.